Thank you for your message. I’m currently out of the office and will not be checking email during my absence. In case of need, I can be reached on my mobile phone. However, before you consider calling me, please be certain that the survival of the human race hangs in the balance – and that my intervention would have a noticeable effect on the outcome – before picking up the phone. I have intentionally omitted my mobile phone number from this automated response. If what you have to ask really is important enough to disturb me, I expect you to do a little work before blindly dialing my number. Don’t be surprised if I casually let your call go to voicemail. You’ll probably have to call a few times for me to notice. And even that may not work. I apologize for being difficult but, while I have your attention, let me explain why. You may even find some practical advice in what follows. Last year, and oblivious to the signs, I was slowly collecting some of the “Me First” character traits I so passionately despise. Too often I was selfishly focused on what I wanted to do. Too often, although physically at home, mentally I was elsewhere. Too often I was preoccupied by yet another trivial work event masquerading as a global crisis. Finally recognizing the signs, my initial reaction was to reach for excuses, rather than to seek answers. It was all too easy for me to use my approaching 50th birthday and my father’s death at that age as a justification for my self-absorption. But excuses don’t solve anything; they’re simply a method to explain away the past, not to improve the future. Somewhat ironically, I found my answers a long way from home. Over the years, my insatiable wanderlust has taken me all around the world and, quite frequently, to some of its remotest corners. As I thought back on some of these trips, a new and refreshing perspective emerged. 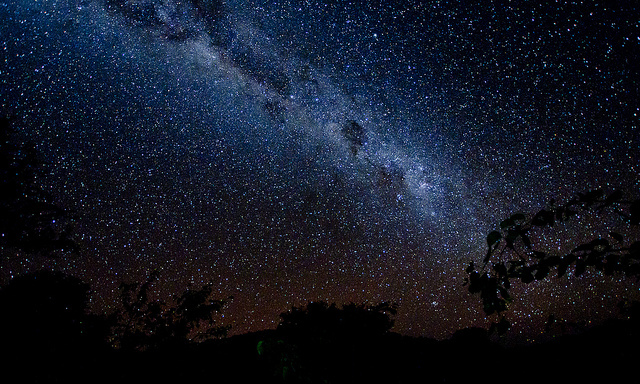 I remembered standing in the crushing darkness of a Southern Africa veldt night, staring in wonder at an unfamiliar sky pinpricked by countless stars. Amid the majesty so often concealed from our view, it occurred to me that I was but the tiniest speck, here for the briefest of moments, on the inconsequential rock we call Earth. More recently, during a brief trip to Iceland, I spent a few hours wandering in a geothermal field while the ground beneath my feet steamed and bubbled and hissed. I doubt there are many places better equipped to humble the most self-assured, or where the immense power of the earth – and our individual insignificance upon it – is so blatantly exposed. I had found my inspiration and a renewed motivation. I realized that a successful life will not depend upon an ability to dominate a conference call, a mastery of powerpoint, or fluency with corporate jargon. I apologize if this comes as a shock to you. I realized that I am dispensable. I pride myself on doing the best work I possibly can, but the few companies I have worked for managed to survive quite nicely before I joined their ranks and my eventual departure did not represent a pivotal moment in their history. My current employer will do just as well when we eventually part ways and it’s highly probable that it will remain viable during the few days I am away from the office. More importantly, I was invigorated by a strangely positive sense of my insignificance. That paradox did not escape me. My time may be fleeting, but isn’t that even more reason to shun the trivial? I understood that it was time, long overdue, to pay attention to the truly important people in my life; to go dancing and snowboarding with my wife; to play with my daughter – and to revel in the unparalleled joy of those shared experiences. I made a promise to myself. No more shall I become so focused on work that I neglect my family. No more shall I concern myself with the attentions of false friends. No more shall I allow my own priorities to automatically trump everything else. No more. Again, thank you for your message. I’m currently out of the office. I will not be checking email during my absence. I realize you probably don’t believe that last sentence but, this time, finally, I mean it.